Warning: Current dates may or may not appear below. If I'm on tour, I don't always lug a laptop around with me. It's always good to double check with the venue before you drive 8 hours to see me play. Thanks! -Dan P.
9/28 - Hanover, PA @ The Timeline Arcade- - The Sick Tight SummerFinale w/ The Sick Tight Nasty Nasty, Kill Lincoln, Dead End Lane, and many more! 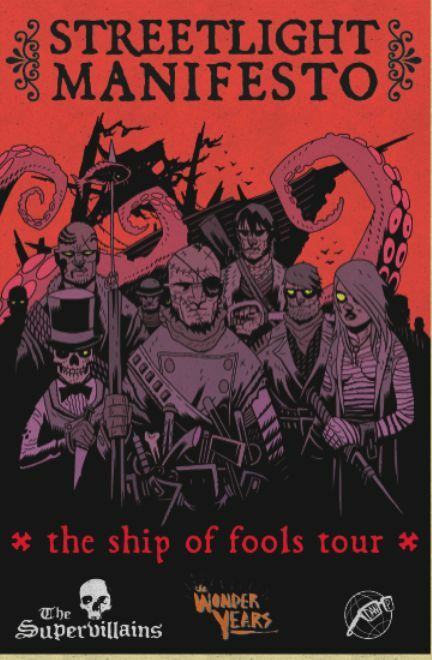 If you go to Streetlight manifesto's page, there are links for all the shows to BUY TIX. I suppose I could spend the afternoon trying to figure out howto copy all the links but I'd rather take my dog to the beach. Sat July 2nd- Dan P. solo @ Homestead Lanes in San Jose opening for Kepi Ghoulie! Dan P. and the Bricks at The Bike Dojo Grand Opening in Downtown Santa Cruz, 1101 Pacific Ave.
Dan P. Solo show at Gilman St. W/ Knockout and Sonic Boom 6 from the U.K.!!! 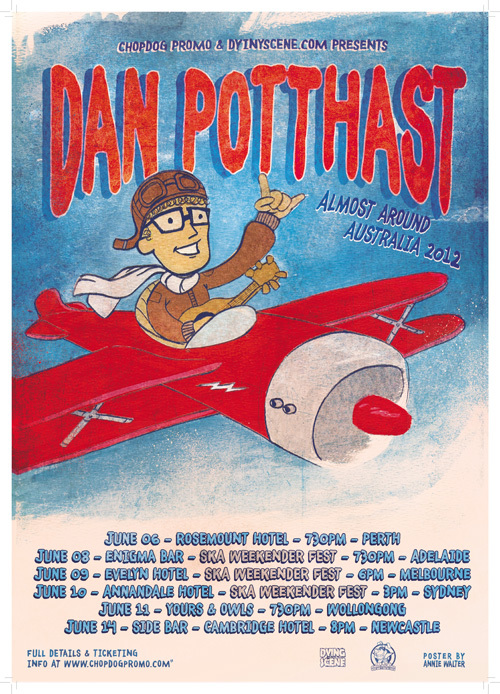 This Is the one night of the Streetlight tour that Dan will be joined by the Bricks. It's a 10 piece ska blow up. Don't miss it. Oh yeah!! INFO: Small Capacity Solo Acoustic Show by SM's Singer, under the name Toh Kay. 21 & UP to Enter. The next four shows are Warped tour dates. I'm not actually on the Warped tour, but I'll be riding along with Streetlight, and trying to play acoustic somewhere.. I'll probably be hanging out at their merch booth playing songs and taking requests. Unless it gets too hot and I go sit on their bus and drink their beer. 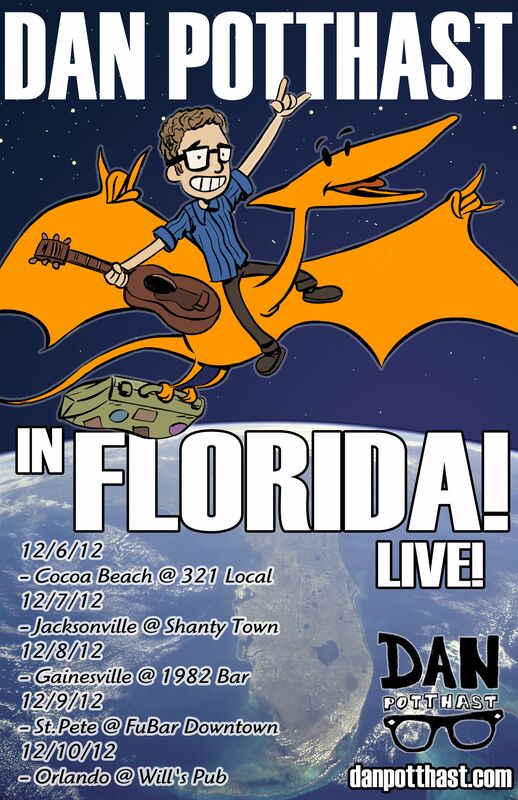 INFO: Dan P. playing solo opening up for Bomb the Music Industry and Shinobu Hometown CD release for "Dan P. Around The World!!!" I’m playing a rock show this sunday at the Bigfoot Discovery Museum. Oh yeah! Home town solo show with the Baron of Asian Man Records, MIKE PARK! Fun fun fun! Possibly an appearance by the Stitch Up to close out the night! Show starts around 8 or 8:30. Free Dan P. solo show at an art space in San Jose! W/ Brian Moss (hanalei, ex-ghost, ex-wunder years), Kid Nothing, and Manigator. The Stitch Up (Dan P’s band featuring Rick Johnson from Mustard Plug on bass, and Lance Reynolds from NIL8, Blue Meanies, and Bitchy on the drums. ALL AGES!!! The Stitch Up (Dan’s other band featuring Rick Johnson from Mustard Plug, and Lance Reynolds from Bitchy/Blue Meanies) opening up for THE REIGN OF KINDO!!! The Stitch Up with the Swellers!! This is a recently added show. We are on tour with Streetlight Manifesto, and their New Orleans show fell through. You can’t just roll through New Orleans w/o playing a show, so we added this one. Please spread the word! There is a shrimp po-boy in my future, after all! BOTTOM OF THE HILL w/JESSE MICHAELS/KEVIN SECONDS/DAN POTTHAST , SAN FRANCISCO, CA, California Cost: $10 We are also having a toy drive for the homeless. We ask that you bring an unwrapped new toy for ages 3-10. We will be giving away asian man cd’s in return for your kind gift. INFO: w/ The Resignators and Streetlight Manifesto/ 18 & UP HALLOWEEN SHOW! 8 Las Vegas, NV @ The Clark County Amphitheater. "Ska Circus 2007" w/ THE ENGLISH BEAT, THE SLACKERS, THE TOASTERS, MUSTARD PLUG, THE PIETASTERS, BUCK O NINE, MU330, WESTBOUND TRAIN, HUB CITY STOMPERS, DEALS GONE BAD, and GOLDFISH DON'T BOUNCE. 28 Grand Rapids , MI- The D.A.A.C. 25 Secret show. I can't tell you yet where I'm playing yet. 03.30.04 - IL, Woodstock @ ??? 07.17.04 - UK, High Wycombe @??? On Tour with MU330 in the US from July 29th through Sept. 10th!! !